Home » Beauty » DIY » How to Choose the Best Essential Oils to Repel Bugs? How to Choose the Best Essential Oils to Repel Bugs? While commercial repellents are readily available, they may not be entirely safe since most of them contain DEET, which researchers have found can affect the central nervous system in mammals (1). Commercial insect repellents are also strong smelling and can cause allergic and respiratory problems. They are particularly problematic where small children are involved. We’re not suggesting that DEET has no place in the world. If you're traveling to an area where mosquitoes carry the Zika virus, you would want to take the best precaution available. If you merely want to enjoy the warm summer evenings outside on your porch essential oils to repel bugs will safely do the job for you. Prevention is better than cure, and the best way to deal with insects is to prevent them from entering your home. 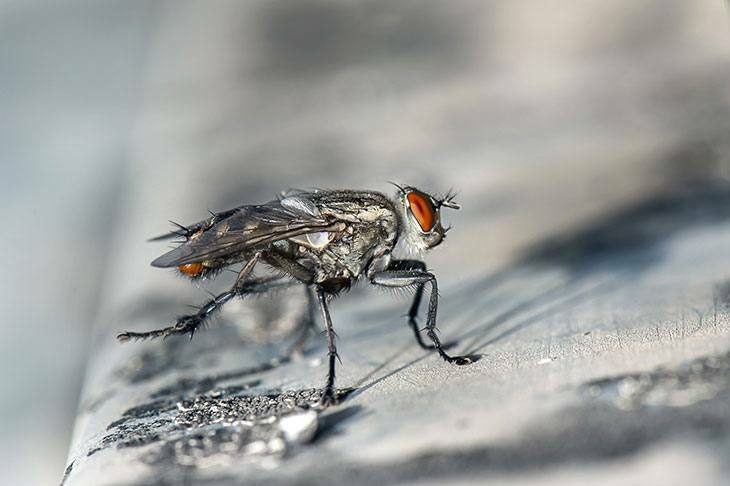 Here are a few easy steps to keeping your home insect free. Ensure that there is no stagnant water around your garden as this is where mosquitoes breed. Seal all cracks in skirtings and cupboards. Many essential oils work perfectly well as bug repellents. Essential oils are made from the oil stored in the flowers, leaves, stem, and roots of plants. They are strong smelling as they are extracted from aromatic plants. 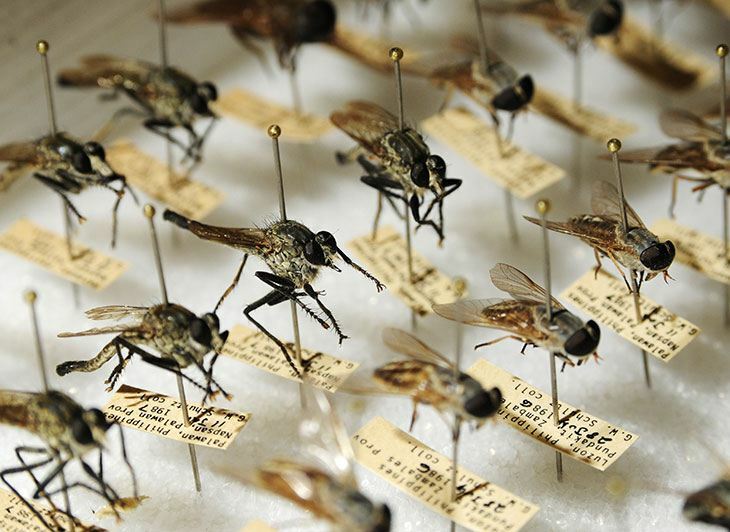 Many plants have developed chemicals to repel insects, and if we select the correct ones, we can harvest the substances that the insects don't like. We have chosen a few of the most effective of these essential oils for repelling bugs. Citronella is obtained from the leaves and stems of lemongrass and was initially used to repel insects in India in the early twentieth century. This essential oil was registered in 1948 as an insect repellent in the United States, and today many insect repellents and sunscreens contain citronella. When combined with vanillin this essential oil is effective for three hours. When used alone it must be re-applied every half hour. You should never apply it directly onto the skin as it can cause an allergic reaction. Lemon Eucalyptus Oil has been used since 1940 as an insect repellent and has been approved by the Centre for Disease Control (2) as an effective way to control mosquitoes. It is extracted from the lemon scented eucalyptus tree. Recent research (3) confirmed that Lemon Eucalyptus Oil was almost as effective as DEET in affording protection against mosquitoes. It was 95% effective against the efficacy of DEET at 100%. Lemon Eucalyptus essential oil evaporates more slowly than other essential oils, so it lasts for longer. Not only does lavender have a lovely fragrant smell, but it also repels insects. It has been used as an insect repellent for centuries and research has proven its effectiveness (4). Lavender oil sprayed from an atomizer or placed in strategic points around the house will keep your home smelling fragrant and repel insects. Lavender essential oil also has soothing qualities so you can also use it in a balm to soothe skin, if bites do occur. Place sachets under the pillows or place them among clothes in your wardrobe. It repels fleas and ticks and is safe around pets and children. Also known for its calming and sleep-promoting qualities, lavender oil is a great all-rounder. A 2014 study found that cedar essential oil repelled ants (5) during the study cedar oil was placed between the ants and their source of food the ants would not approach the food. It was also found to be fatal to tick nymphs. It kills fleas and can bring relief for the itchy inflammation of insect bites. Also known as melaleuca, tea tree essential oil has been used for many years by the Australians for its anti-fungal, anti-bacterial and anti-inflammatory properties. Recent field studies (6) have also proven that it offers protection against biting midges, bush flies, and mosquitoes. Its antiparasitic properties mean that it is also excellent for killing lice, ticks, and fleas. It repels Spiders, mosquitoes, and ants. Add a few drops to some water and spray it around the room, place cotton balls soaked in this essential oil in strategic spots or apply diluted to the body. Peppermint essential oil has a high menthol content which gives it a lovely clean smell. It repels insects including ants, cockroaches, and centipedes. It is also useful as a gnat repellent. Sprayed into the air, it will leave your home smelling clean and free of many of the household insects. You can also use this spray to kill the aphids in your garden. Put some essential oil onto a cotton ball and place in your dirt box, under your sink or behind the cabinets for a clean and fresh bin. Research (6) has established that catnip essential oil was more effective at repelling mosquitoes than DEET in a controlled environment. It will provide six hours of protection. Rosemary essential oil is highly effective in killing bedbugs, so next time you're staying over at a hotel or bed and breakfast take your atomizer with and spray the mattress. Spray the inside of your bag as well so that you don't take any unwanted guests home with you. 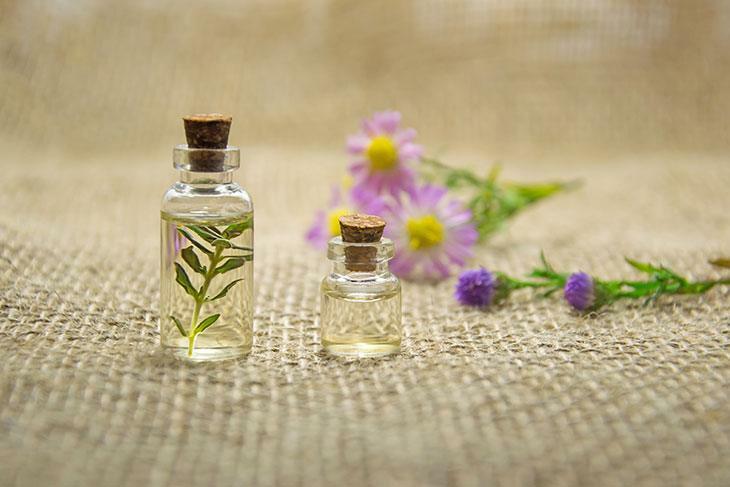 To make a natural insect spray from essential oils mix five drops each of cedar oil, eucalyptus, lemongrass, rosemary, citronella, and rosemary with two ounces of witch hazel and four ounces of water. Spray onto the skin that is exposed. Re-apply every two hours. Don’t forget to do a patch test beforehand. Never use essential oils undiluted. They should be mixed in a carrier oil such as olive or almond oil. Typically, you only need three to five drops in an ounce of oil. Before you use essential oils, you should always do a patch test as some people will have an allergic reaction to them. Because the FDA does not regulate essential oils, you should always purchase them from a reputable source. Always follow the instructions on the label.